UPSC Exams are deemed to be the pinnacle of achievement in our society as passing such an exam is an arduous task and the status enjoyed by an IAS/IPS officer in the society is second to none. Passing such an exam is possible for any aspirant provided he or she has the right guidance and tools. There have been reports about guidance provided by Byju’s the learning app to be possessing the same qualities and preferred by aspirants of civil services across the country. The following strategies would be really helpful in helping candidates while preparing for the civil services exam. ● Class VI to X (Every important topic connected to General Studies). ● Class XI to XII (Economy, History, Geography, Polity). ● Class XII Biology (Give importance to Chapter 13 to 16 viz. last 4 chapters focused on Environment and Ecology). ● NCERT Chemistry (For class XII part 2; final 3 chapters). The above mentioned books are all available for free download from the official site. Candidates could answer a majority of the stable part of all the exam papers using the NCERT and also it would help aspirants to build an in depth understanding. Try reading all the above books a minimum of 4-5 times before candidates attempt their exams. Aspirants should be aware of the fact that their knowledge from the above books would be checked thoroughly for prelims exam. You should devote a separate time on a daily basis for reading newspapers like the Hindu. Try to grasp, focus, and comprehend and notice down the information that is relevant. Aspirants should use a separate notebook or sheet for the clippings taken from the Hindu in particular as it would be absolutely vital for success in the exam. It would also be helpful while the exam is approaching fast. Like the Hindu, magazines like Kurukshetra, Yojana, Down to Earth, Science Reporter and Civil Services Times and Frontline should be referred for further understanding. It is advisable that aspirants should refer previous year question papers for at least last 5 years as this would help the candidates to familiarize themselves with the pattern of questions asked in the examination. From their observation, aspirants would have realized that the UPSC never goes for repeated questions. Hence there is no point in cramming questions as it will not be of any help. The major benefit however, would be the fact that the question types might have a chance of getting repeated. The previous year papers would give the aspirants an outline of what all areas would be covered during the exam so that they could prepare themselves well for anything that comes their way. The exam is not just centered around hard work but also about smart work in the right proportion. 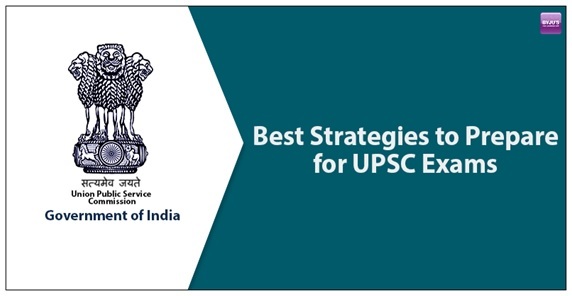 Once the aspirants are confident about their grip over UPSC syllabus while preparing, it would be ideal for them to enroll for mock test series so that they could attempt these tests on a regular basis so that they would be able to assess the areas where they are struggling and need to give maximum attention. The Mock test series provided by Byju’s have been heard to cater for the same like answer writing practices, video lectures and test series available for mains and prelims designed by India’s top faculties providing mentorship for civil services preparation. The more candidates practice with these mock tests, the better their scores would become in the due course. It would be really beneficial if aspirants would do some exam writing practice by themselves as they would be able to take their level of efficiency to an advanced level. It has two main advantages viz, helps the candidates with the management of time. There are other added advantages like helping you in remembering key concepts in the exam. The points mentioned above would be more than sufficient for aspirants if they want a right approach for preparing for competitive exams like the UPSC. Hence Candidates should take their preparation as a serious affair and give their best shot while doing the same.